Posts and pages can be assigned to multiple taxonomies and thus may unexpectedly show up in your sitemap when you thought it would be hidden. You can exclude individual posts or pages from the sitemap using the Yoast SEO metabox. Edit the post or page. On the left-hand side, you will see a menu. In that menu, navigate to the post or page (or other custom post type) you'd like to exclude. 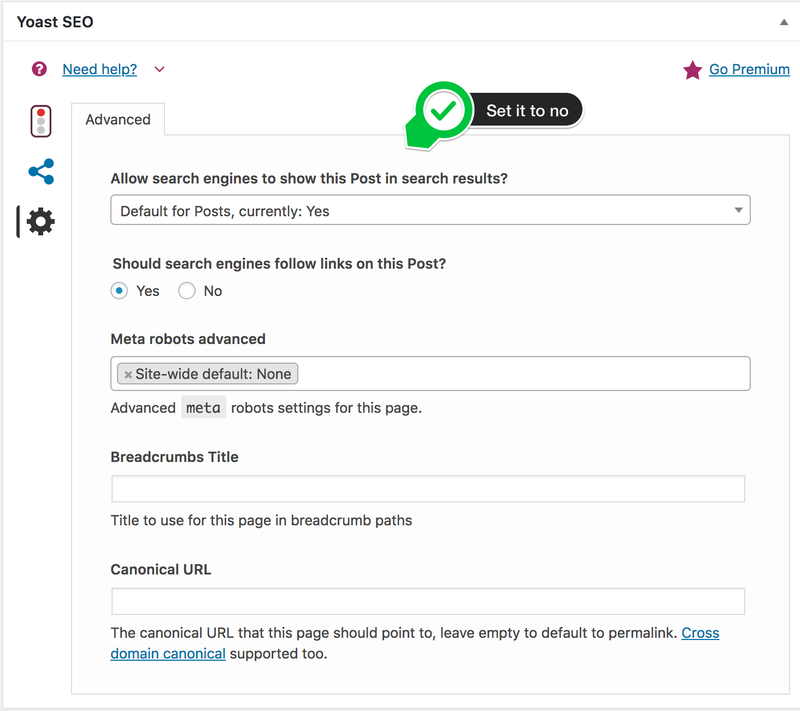 Scroll down to the Yoast SEO metabox and click on the 'Advanced' gear icon. Change the 'Allow search engines to show this Post in search results?' to 'No' for this post or page. Publish or update the post or page. You or your developer can use the filter wpseo_exclude_from_sitemap_by_post_ids to bulk exclude post or pages from the Yoast SEO sitemap. The filter would be placed in your functions.php file. If you are not sure where that is please contact your theme developer. As a best practice we recommend a back-up be taken prior to editing theme files.